So how just were things? I was on the money for Best Actress (not an obvious one with Emanuelle Riva in contention) and Best Screenplay, both Original and Adapted. 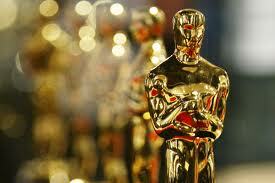 I also nailed Best Cinematography and Best Documentary. I still back Silver Linings Playbook for Best Picture. Dave Sexton sums it up pretty well in tonight’s London Evening Standard: “Yet [Argo] is only moderately good, telling a story that has no long-lasting or deeply personal resonance for the viewer. It’s well made, quite exciting at the start and at the finish, and it has some funny lines. But it’s not a film you would want to see twice, I’d say.” I’ve now watched it twice and he’s right – it’s not a fulfilling experience second time round, largely due to its thriller nature. Ben Affleck’s performance looks better on second viewing and his direction very well pitched and restrained. But SLP has more substance in the long run, more legs and more emotional resonance. Ang Lee as Best Director I can swallow as Life of Pi is a real handful to master and it is quite some spectacle, one of the first artistically successful 3D movies (I suspect even Kermode would agree on that front). I also embrace Daniel Day-Lewis as Best Actor as he clearly is one of the all-time greats, and he brings Abraham Lincoln fully to life. Christophe Waltz merits his second Best Supporting Actor gong – the way Django Unchained spins out of control after his demise indicates the importance of his performance, even if it gets a little mannered at points. 2012-13 was a really rich year for cinema in contrast to most of the last few years. I’m glad therefore that no movies dominated the Oscars, especially Lincoln and Les Miserables, the one too talky (my Twitter review: Overlong, overtext and over here) and the other too singy. It was a bit harsh on Zero Dark Thirty but all in all justice largely prevailed. Picture of the Month: Is he screaming? I’m in the office, it’s mid-afternoon and a gap’s appeared. 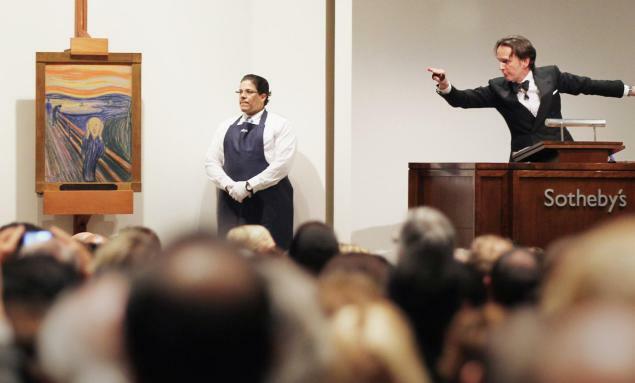 I’ll nab it to dash across the park to Sotheby’s to take a look at The Scream. It’s a version in pastels, not oil, on board, not canvas, in private hands for years, Fred Olsen the shipping magnate, unseeable til now. I ring up to see what time they close. Half an hour ago and today was the last day of the viewing in London – it’s off to New York now. I let out a little Skrik. Bugger, bugger, bugger, I’ve been meaning to take a look for weeks. As Nietzsche would have said, you’ve got to be philosophical about it. I’m trying – but struggling. Soooo disappointed. I’ve seen most of the other versions, three in paint, my first time was in Oslo around 1987. And then I got a second chance I never expected. 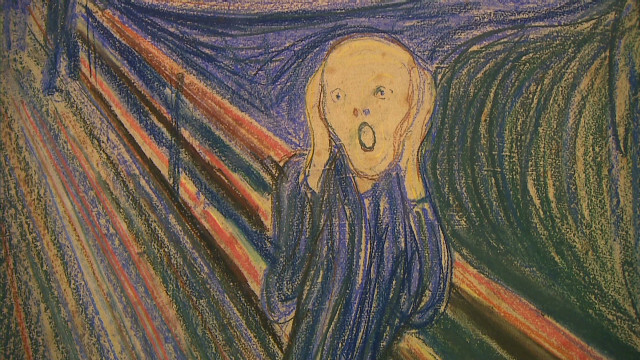 I pictured this pastels version of Munch’s The Scream disappearing back into some mansion. But the new owner is evidently an enlightened person, s/he put it on public display at MoMA in New York (with which I heard s/he has a close connection). I was in NYC a few weeks ago talking at the Impact Media conference. The day after I went on a pathetically shallow quest in search of a particular watch made in New York. One of the few places you’re supposed to be able to get one is in the MoMA design shop – drew a blank there (out-of-date websites are so annoying, Nooka) – but the upside was I spotted the poster for The Scream exhibition. He may well not actually be screaming. 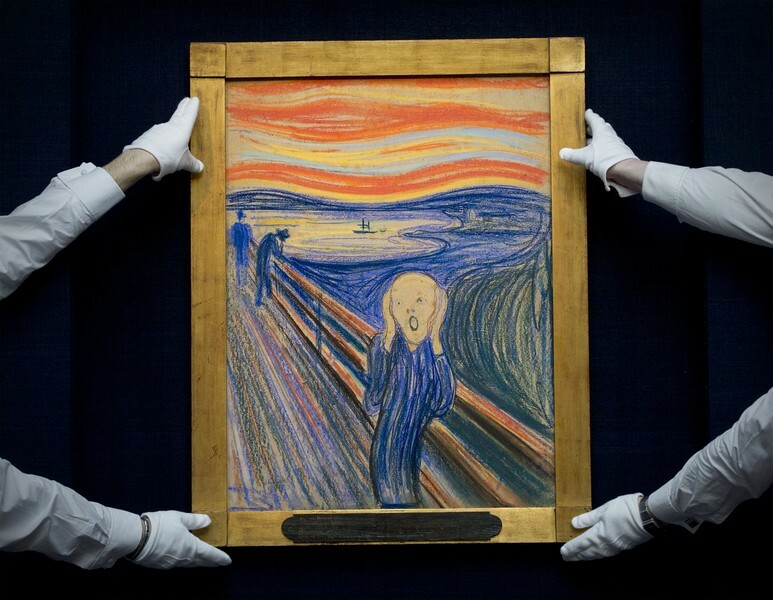 It’s called The Scream/Skrik. It’s got a man in the middle of it. Somehow an assumption had fixed itself in my mind that the man’s screaming. But first and foremost he’s covering his ears to block out a scream. A scream Munch heard in Nature that evening he went out walking along the edge of Oslo fjord and the sunset turned the sky blood red. His two friends were a bit ahead and he found himself alone in the face of Nature’s infinity. I’ve experienced that myself but in a more benign way. 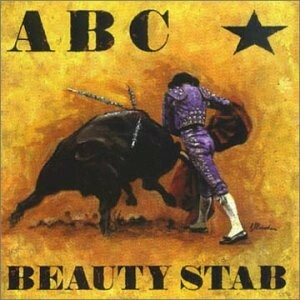 I used to have an album by ABC called ‘Beauty Stab’ (used to because it was on cassette, a format well capable of prompting shrieks). It was a phrase that really resonnated for me. Those moments when you’re somewhere in Nature and it’s so beautiful it hurts. Occasionally I’ve had it though where it tips into an anxiety in the face of Nature’s depths – I had that once alone in a natural pool in Jamaica. For Munch it’s angst all the way on an overwhelming scale. Skrik was one of six paintings making up what the artist dubbed the ‘Frieze of Life’. He was responding to (German dramatist) Lessing’s assertion in Laocoon that literature could tell a story over time where painting had to rely on a single moment. Munch wanted to create what the German’s called a ‘gesamptwerk’, a total work of art. The six paintings were displayed together and offered a coherent overview of life as a human being. Wanting to keep them together explains Munch’s willingness to reproduce his own paintings, avoiding breaking up the set. On a tangent my limited Norwegian vocabulary is dominated by words like Skrik, Kvinne and the like, picked up from Munch’s titles. I was actually one of only two people in my year at Cambridge doing Norwegian (for me it was a third, subsidiary language which I was studying for all the wrong reasons and without seriousness, unlike the other student who quickly left me behind like Munch’s friends on that fateful walk). So I battled my way through the crowd to get a close look at this 4th version of the iconic image, displayed like an icon in a fancy frame (Munch wasn’t keen on frames, or even on canvas, often painting on board or cheap materials) in a reverent penumbra, and drank it in, left above all with the impression of the mad swirls. Pencilled on to one oil version in the Oslo Museum is the sentence (in Norsk of course) “only a madman could have painted this”. To what extent this reflected his fear of madness in his family or was a bit of a pose cashing in on the Nordic rep for depressive nuttiness is difficult to say for sure. Any way, I made my way literally round the corner to bump into another display of mad swirls. Van Gogh’s ‘Starry Night’. 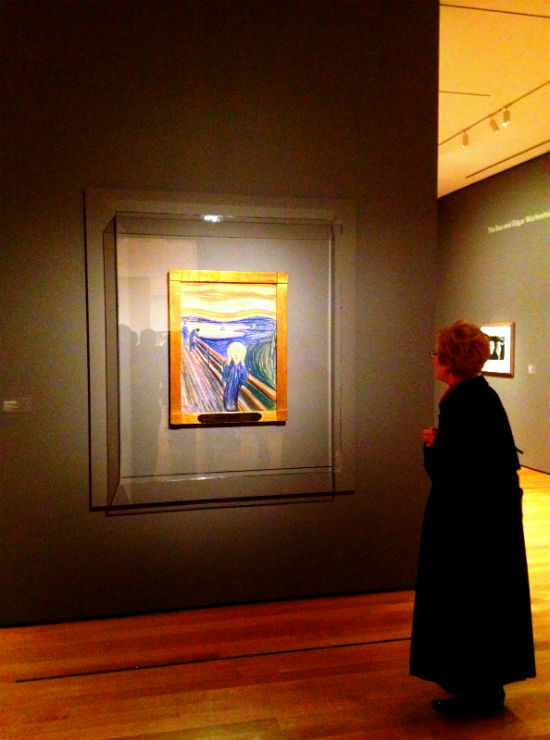 (MoMA is like that, a too-rich mix of masterpiece after masterpiece, difficult to consume much of in a sitting.) What an illuminating face-off that was – Skrik vs Starry Night. 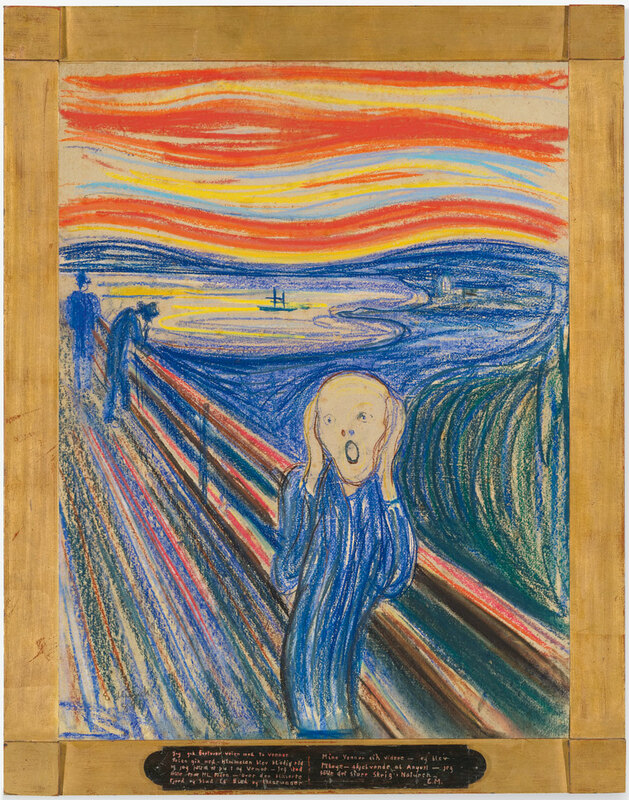 Munch drew inspiration for his expressiveness from Vincent’s quickly growing impact in the wake of his death in 1890. 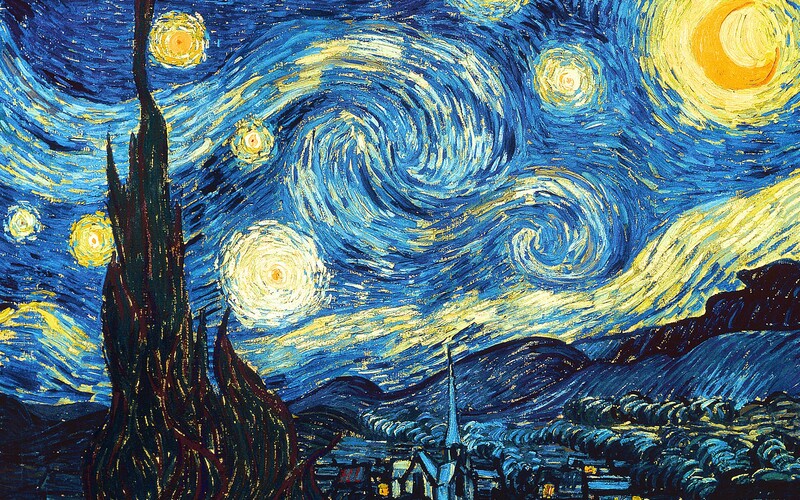 But Vincent’s nightswirls are expressions not of madness and the chaotic expanse of Nature but of the raw energy of its infinity. Van Gogh’s image is the culmination of the 19th century in wonder and dynamism. 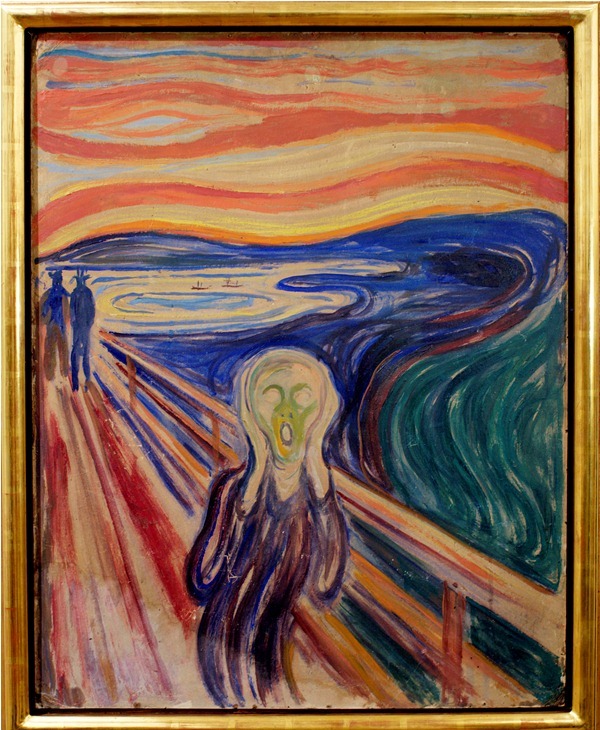 Munch’s is the quintessence of the 20th century in its anxious horror. The face at its focus is simplified, universalised in the way Klee stripped back his imagery to a powerful child-like lingua franca. In this way it is the head of Everyman, almost back to the skull beneath the skin, and that is the secret of its power – it is a kind of blank canvas, like Room 101, where we each impose our own meanings onto it. A scream at the horror of the holocaust. Despair (its original title) at the godless world post-Nietzsche. A cry for sanity as we pollute the waters, the countryside, the sky – tearing the earth to bloody pieces. A shriek at the advent of the A-bomb. A man screaming …who isn’t. One evening I was walking along a path, the city was on one side and the fjord below. I felt tired and ill. I stopped and looked out over the fjord – the sun was setting, and the clouds turning blood red. I sensed a scream passing through nature; it seemed to me that I heard the scream. I painted this picture, painted the clouds as actual blood. The colour shrieked. This became The Scream.